At Sentry Garage Door & Gates we cater to the needs of clients who have Apollo gate openers installed on their residential and commercial premises. We can help you repair, replace and install Apollo gate openers. We are a leading door and gate company in Houston; get in touch with us to meet your door and gate needs today! Sentry Gate repairs all Apollo gate openers. Having problem with the Apollo gate openers? Does the gate open and close too quickly? Is there any problem with the remote-control device? We can help! At Sentry Garage Door & Gates, we help you protect your investment by offering Apollo Apollo gate opener repair services that suits both your budget and your needs. By fixing gate opener problems immediately, you can avoid expensive repairs and have peace of mind. This is why we offer fast gate and door repair service to help you keep the premises safe and secured. We understand safety is a top priority for everyone. Hence, we offer emergency services, so you do not have to wait for the next day to get the gates repaired. If you have problems with the gate opener, give us a call immediately. Our team will arrive at the location for a quick inspection and get the problem fixed in no time. WHY SENTRY FOR APOLLO GATE OPENERS? Did you try getting your gate opener fixed but failed? Some damages cannot be reversed and the only way out is to get the gate openers replaced. If this is the situation with you, call our team at once. We offer valuable advice regarding repairing and replacement of gate openers. 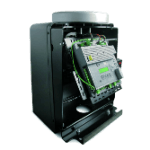 We specialize in Apollo gate openers, so we can help you get any type of gate openers replaced quickly and efficiently. Sentry Garage Door & Gates we offer gate openers for swing gates, slide gates and also offer a wide variety of accessories, so no matter what your needs, we’ll come prepared and offer you with the best solutions. Whether you need to replace some parts or replace the entire gate, you can count on us. We bank on our years of experience and offer guaranteed satisfaction for both residential and commercial clients. Apollo Gate openers are available for an extensive range of gates and they allow gates to be operated through remote control devices. These are intricate systems that need professional training and an eye-for-detail to be installed properly. At Sentry Garage Door & Gates, we understand how Apollo gate openers work and we have the necessary expertise to get them installed correctly at the very first attempt. Our team is equipped with the right tools and equipment to ensure smooth and hassle-free installation of residential gates and apartment gates. We understand that the needs and requirements differ with each client, when it comes to door and gate installation. Hence, our team of door and gate experts analyzes the specific requirements of the clients before installing an Apollo gate opener. This makes entry and exit more convenient. Install a gate that integrates Apollo gate openers into its system and improve the value and curb appeal of your property.